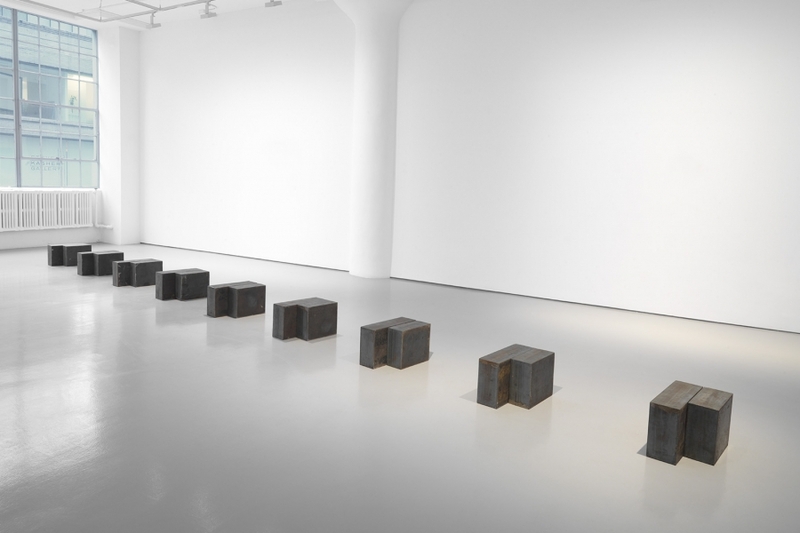 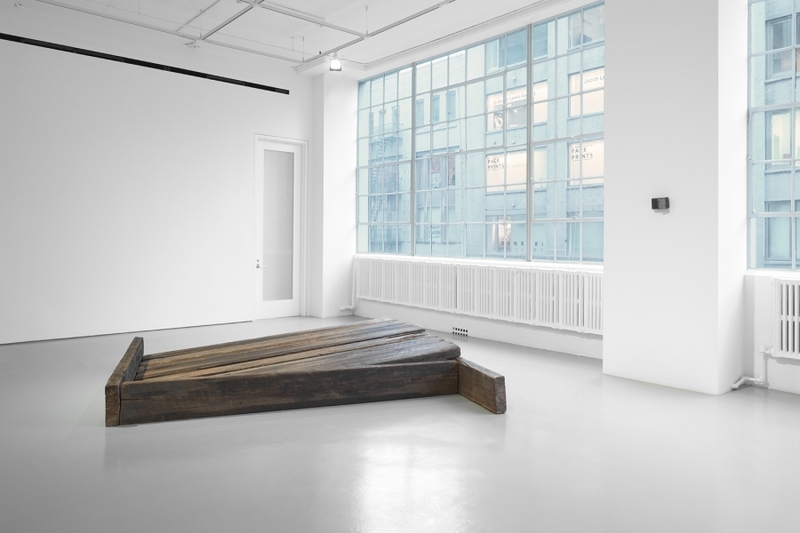 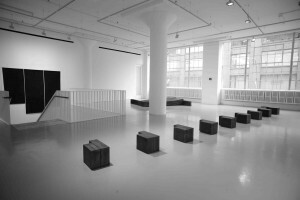 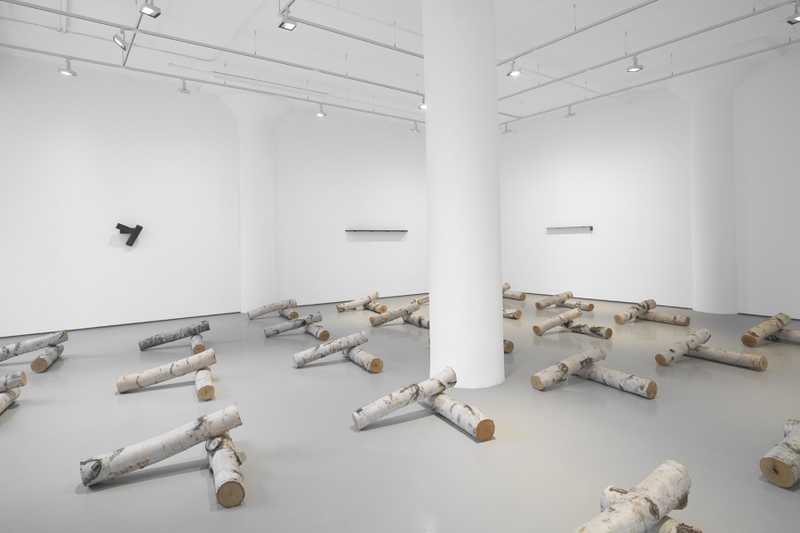 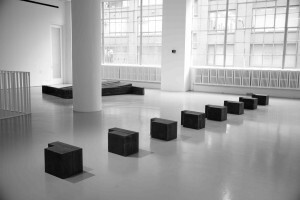 Fergus McCaffrey is proud to present Richard Nonas: SLANT, the artist’s second largescale show at the gallery. 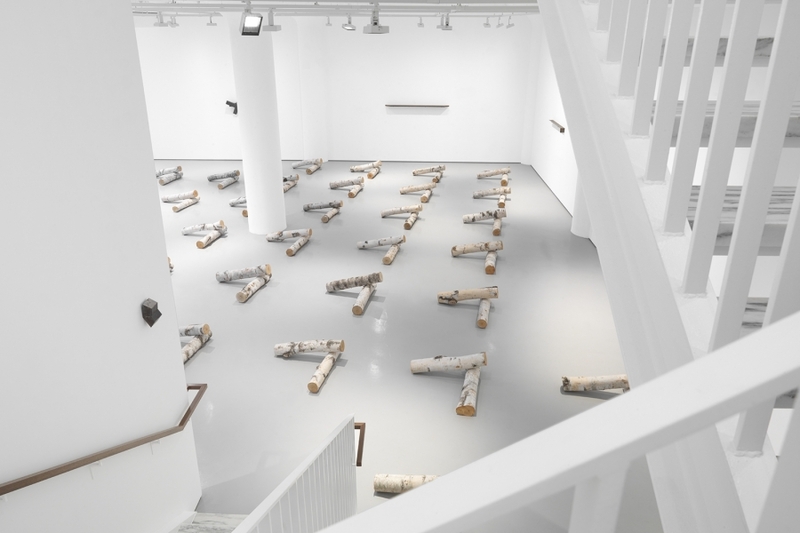 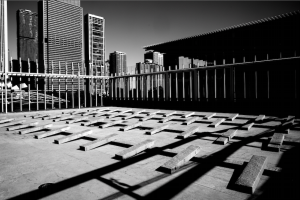 The exhibition will occupy the entire space, with an extensive, site-specific installation on the ground floor and major sculptural works on view on the second floor. 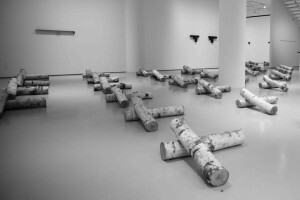 A leading artist of the Post-Minimalist generation, Nonas (b. 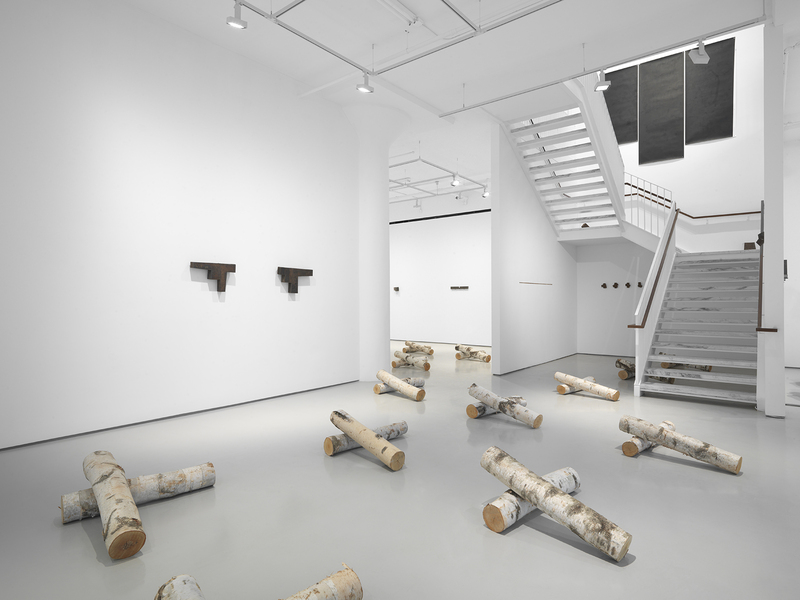 1936)—who lives and works in New York—spent ten years as an anthropologist, after which, in the late 1960s, he began to investigate how a space can be changed by the art that is put in it, and how that space then, in turn, affects people as they pass through it. 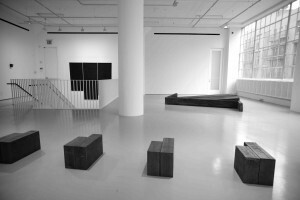 That marking-out of space (whether indoors or out) is at the heart of Nonas’s endeavors. 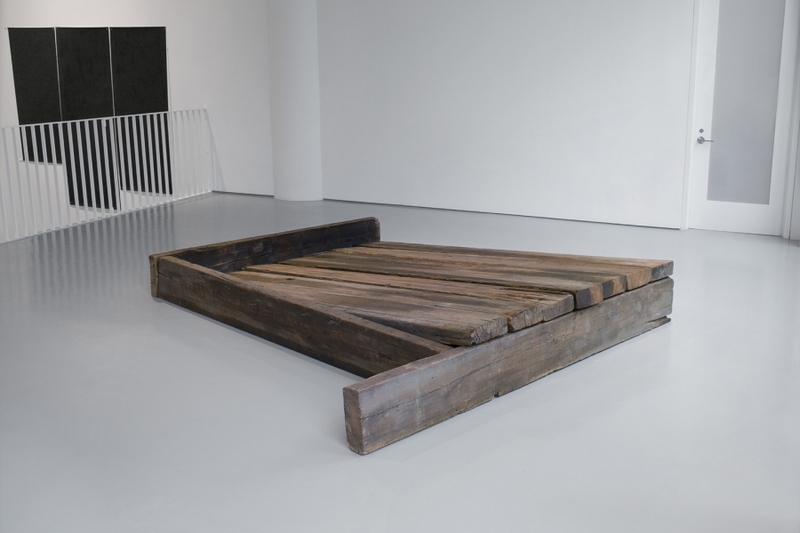 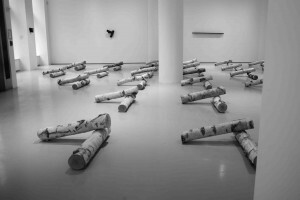 His often crudely constructed works are made in the simplest and most direct ways available to him. 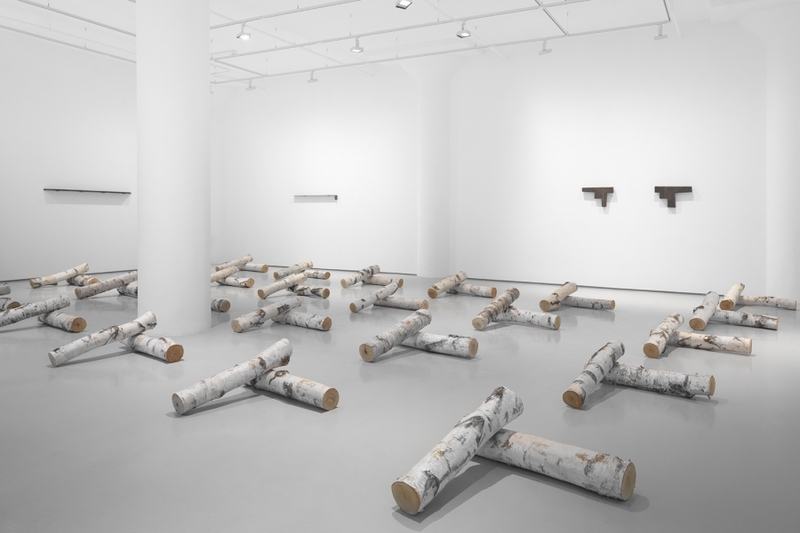 Their function, he says, is as tools or as markers that define a particular sense of place—a different one for each new installation.